For every struggle faced by the human race, there’s an app developer building a handy solution. It’s no big surprise, then, that a handful of podcast-making apps have popped up in recent years. I should start by clarifying what I mean by “app.” In this article, we won’t be covering fully fledged podcast software, like Audacity or Audition. Instead, the focus here is on dedicated apps that were designed to take at least a couple of the recording, editing & publishing trifecta, and make them really easy for podcasters. Alitu is a web app that we developed ourselves because so many of our readers told us that they just hated editing, processing, and publishing! So many people were procrastinating over starting a podcast because of the thought of learning something like Audacity or Audition. Alitu was designed to make processing, editing and publishing super-easy. So, you can create a podcast without knowing the slightest thing about audio production. You simply upload your recordings – anything from a Skype interview, to a phone recording, to a Zoom webinar, and Alitu does the rest. It’ll do conversion, levelling, noise reduction, and more, to get your audio sounding great. Then, you can jump into Alitu’s editing tools – offering you top and tail functions, plus the ability to remove any mistakes from your audio. Once that’s done, the episode builder lets you piece together as many clips as you need, from solo segments, to ads, to listener call-ins, and it’ll add your theme music automatically at the start and end. Finally, you can either download the finished episode or publish it direct from the app. Alitu doesn’t include hosting, so you’ll pair it with a dedicated hosting platform which acts as a home for your content. But once you’ve signed up to one of those services, you can link it to your Alitu account so that publishing can be done automatically. Price: $28 / £19 monthly subscription. 7 day free trial available. You Might Use It If: You’re looking to focus on creating content, rather than learning the ins and outs of audio production. But at the same time, you still want to be putting out a professionally produced show, with any fluff or mistakes removed. Brought to you by media hosting veterans Podbean, this app is a fully fledged listening and discovery app first and foremost – but it was recently upgraded with some handy creation and publishing tools, too. Those making a podcast inside the app can record their content, mix in sound effects, and have the option of using music from an extensive library or simply importing their own. Recording is done “as live,” but you can pause and re-start your recording at any point. It’s worth pointing out that when it comes to editing, you can top and tail your audio, but you can’t make internal cuts to any of the content. As Podbean are a media host, you can publish directly to their platform once your episode is created, or you can download the file to use elsewhere. You Might Use It If: You’d like to use Podbean as your show’s media host. They have a lot of really cool features including monetisation and premium content options. For more, see our full Podbean review. Spreaker are another top media hosting platform, and their Spreaker Studio app is a great tool for creators. It comes as either a desktop or mobile app and works in a similar vein to an online radio station, with the option to go live and interact with your listeners in real time through its chat function. If you don’t want to go live, you simply select ‘Offline Mode’ to record your episode, then publish it manually once you’re happy with it. Like Podbean, you can play effects and clips as you go, and they’ve just announced a brand new trimming function that lets you top and tail your recording, prior to upload. Spreaker really shines as a “live production” tool, allowing you to act as the DJ, creating a media-rich episode all on the fly. It’s great fun playing the music as you record and mixing in listener call-ins, effects, and more. But though Spreaker recently introduced their “top and tail” tool, they don’t offer any internal editing or processing functions, so you’ll still need to go through a DAW if you want to do any of this. Price: You can start for free, but storage and session duration will be limited. Paid tiers offer more options and start from $5.99 a month. You can a month’s free hosting with Spreaker when you use our link to sign up. You Might Use It If: You’d like to do live shows with audience participation. Anchor have made a splash in the podcasting world in the past couple of years, ruffling a few feathers along the way. The service had been criticised on a number of fronts, and there was controversy around their terms of service which suggested that they owned all content hosted there. The company later amended the wording here and assured creators that they retained full ownership of anything they published on Anchor. One issue with Anchor that’s still ongoing is that they make it difficult to access your stats in places like iTunes/Apple Podcasts. This is because your podcast is submitted there through Anchor’s own account, rather than the account of the podcaster. For the full run-down, read our is it worth using Anchor? article. Such issues haven’t hampered Anchor’s popularity though, and they were purchased by Spotify in February 2019. At the time of writing, it remains to be seen what role they’ll play in Spotify’s wider podcasting plans, and whether or not this was more of a talent acquisition of the folks behind the company’s swift rise to fame. One thing is for certain, though: Anchor currently make it very easy to create and launch a podcast inside their app, and, being a media host, you can publish directly onto their platform too. Like Spreaker and Podbean, you can’t make internal edits to your content, but you can arrange various clips together to lay out your episode in segments. They also have a library of music and transitions that you can mix in there too, so if you’re happy with one-take recordings, then it does indeed help you create a nice, media-rich episode. You Might Use It If: You’re a hobbyist not looking to spend any money at this stage. If you’re starting a show with the approach of “Let’s just see how this all works,” then Anchor is a useful platform. 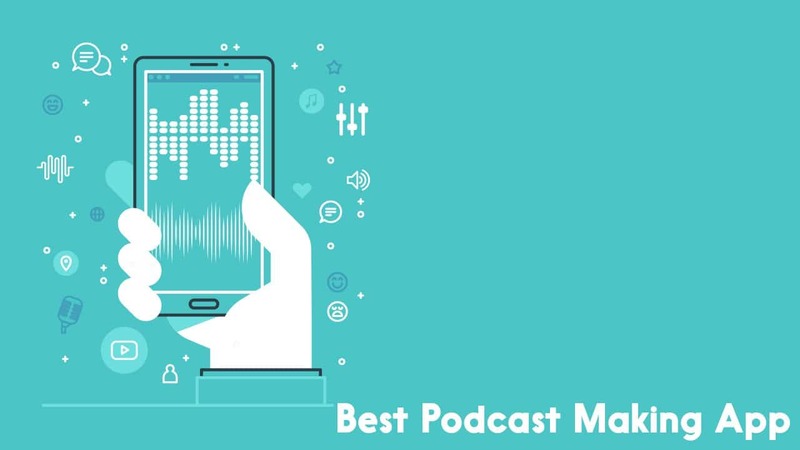 Summary: So What Is the Best Podcast Making App? The standard podcasting answer to any such question is, “It depends,” and this one is no exception. Each of these apps brings its own unique flavour, and offers something a little different for its users. Anchor’s big draw, of course, is that’s it’s free, and it’ll continue to attract hobbyists and folks who want to test the water with podcasting. As you grow, though, the in-platform restrictions often start to grate. Spreaker will be appealing to those who want to run live shows with audience participation. Podbean offer an all-in-one podcast app for listening and creation, as well as some handy monetisation and premium content tools as part of their hosting service. Alitu gives creators much more control and flexibility in the sound and content of their end product, while still making things very easy. 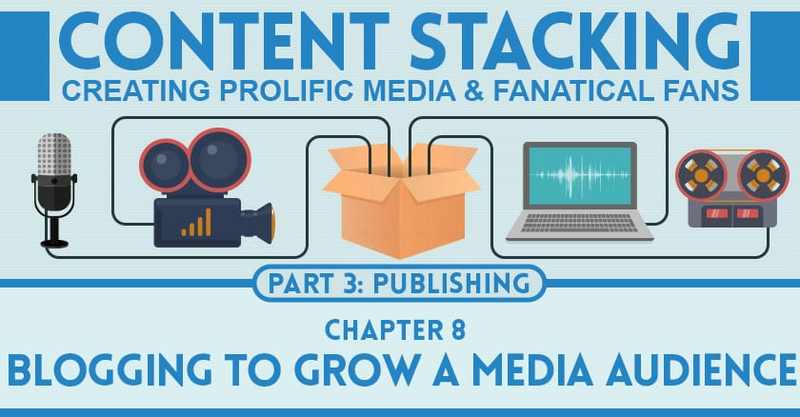 It’ll appeal the most to small business owners and solopreneurs who want to put out high-quality sounding episodes without getting bogged down in production. Only you’ll know which one seems more relevant to you, if any. Maybe you’ll decide that a podcast making app might not be right for you or your podcast. If that’s the case, it’s worth also checking out our Complete Podcast Software Guide to explore your wider options! 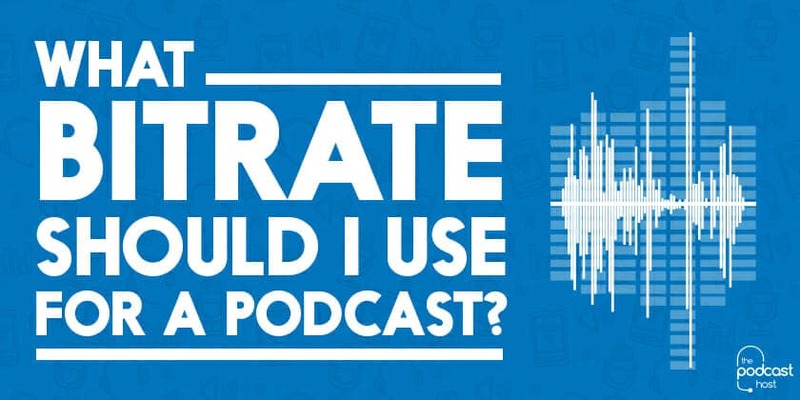 What Bitrate Should I Use For a Podcast? Awesome Article Matthew McLean, I am in love with Anchor. Again thanks for this article.